Growing media are materials that plants grow in. You mostly use soil as the growing medium in traditional cultivation. But in Hydroponics, you are not limited to just soil. That's why besides spending your focus on finding the best systems of Hydroponics in the first place, don't forget to search for suitable materials for plants to grow. The growing media for your Hydroponics are just as important as the systems chosen. The growing media are to help provide plants' roots with moister & oxygen they need. It also supports the plant weight and holds it upright. Another role of the media is to allow plant's roots to have maximum exposure to the nutrient. People will moister the growing media with the nutrient solutions. And the wet media will transfer the nutrient to the root system. Using these media other than soil gives gardeners fewer worries over the threat of soil-borne diseases and pests. This allows them to grow healthier and better plants. What makes a great growing medium? Keeps an even ratio of air to water. Has a medium cation-exchange capacity to hold nutrients. Helps protect plants from pH changes over time. 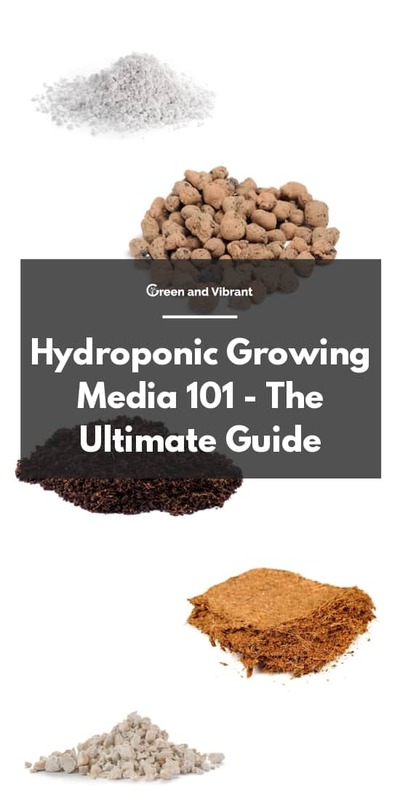 Of course, it's hard to satisfy all the criteria you want, but in this post, I'll give you necessary details about the most popular growing media used; The advantages and downsides of each material. And most importantly, I will help you decide which growing media will fit best for your situations. Click on the button to jump to the medium you want to know. Perlite is a very common growing medium that has been around for years, usually used by traditional gardeners to add aeration to soil mixes. As a mined material, a form of volcanic glass, perlite is created under intense and rapid heat. Then countless tiny bubbles pop outs like popcorn. So as you can guess, it is very lightweight and porous. 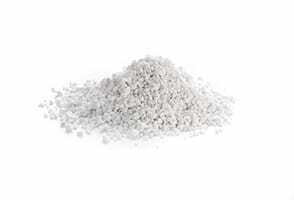 Perlite is a good choice for the wick-type hydroponic system since it makes an excellent standing wicking action. But because of its porous and easy-to-flow nature, I don't recommend using this medium for quick and strong watering systems like the ebb & flow. It can be washed away fast & easily. One caveat to working with Perlite is that because this medium is in small and porous particles, you should protect your inhalation when working with. Get it wet beforehand, then rinse out to keep the dust from bubbling around. Lightweight, not suitable for certain system kinds. Can be used in drip systems, aeroponic systems. 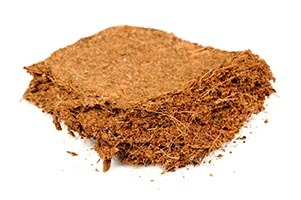 Coconut Coir (also known as "Coco-tek," "Cocopeat" and "Ultrapeat" is essentially a byproduct of the coconut industry. People make it from the brown husks surrounding the coconut shell. Ultrapeat" is essentially a byproduct of the coconut industry. People make it from the brown husks surrounding the coconut shell. What makes this one of the most efficient growing media for hydroponics is because it is totally organic, highly inert, and holds water very well. But it has a really good air to water ratio, saving plants from drowning. Coconut coir is friendly to the environment and renewable. The unused material can go to disposal places of or be composted. These make coconut become a so commonly used material for Hydroponics recently. 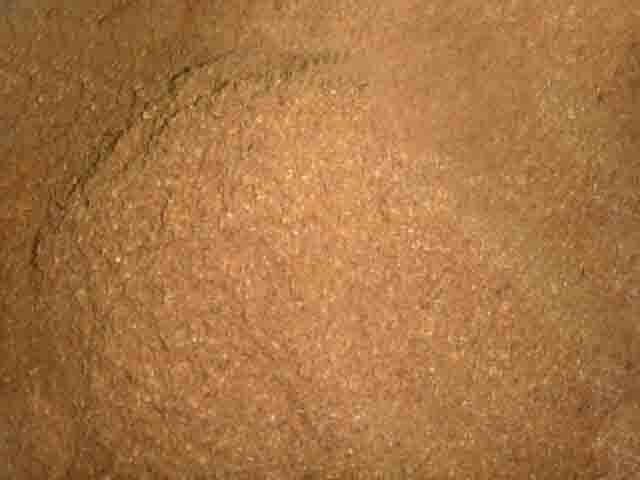 Coconut Coir can be used alone or mixed with other growing media like perlite, expanded clay pellets. A common formula used by growers is 50% of the coconut fiber & 50% clay pellets. Doesn't drain well, so often mixed with other media. Can be used in drip systems, aquaponic systems, ebb and flow system. Vermiculite is a form of hydrated laminar minerals which resemble mica. 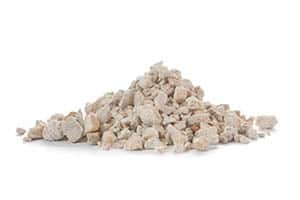 Just like perlite, vermiculite is processed by exposing the material to extreme heat to expand them into small clean, odorless pellets. Vermiculite is an excellent soilless planting medium. It is non-toxic, sterile, moist-resistant and has a nearly neutral pH. What's more, the material is very lightweight and able to hold water very well, which is quite contrasting to perlite. Yet, it does not keep aeration as well as perlite. This growing media also has a reasonably great cation-exchange capacity, which helps keep the nutrients for later use. 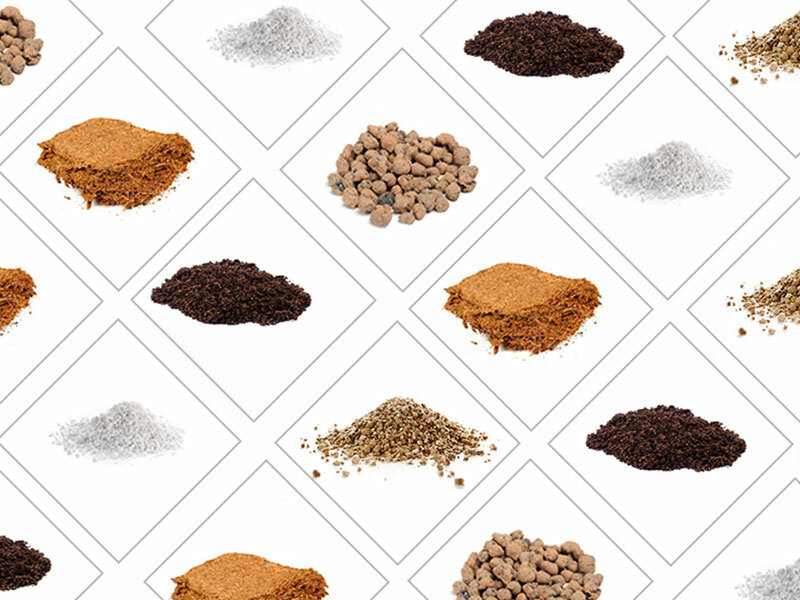 There are different vermiculite types, so bear that in mind and choose the correct material for the hydroponic purpose. And because of its ability to retain much water (approximately 200%-300% of its weight), there's a risk of suffocating your plants. So it is usually used to mix with other media. The most familiar one would be perlite as the two media complement each other quite well - perlite drains so fast whereas vermiculite holds moisture. They are often conjuncted in a 50/50 formula, which keeps the mix from being washed away in ebb and flow systems. Can be used in the drip system, aeroponic system. Hydroponic growers would not find rockwool that strange as this material has been used widely in recent years, largely on commercial farms. And this material has been proven as quite effective, and hence its popularity. This sterile, porous medium is primarily made up of granite and/or limestone rocks which are heated until melting and then are spun into super thin and long fibers. After that, people compress these fibers into cubes, bricks of preferred sizes. Rockwool owns many benefits of an ideal growing material like microbe immunity, good water & air retention. This protects your plants from dehydrating while giving plant roots continuous available amounts of oxygen. However, there is one word of caution about the pH level when using rockwool. The natural pH of the material is usually high, which can alter the nutrient solution pH. Prevent this by soaking this media into pH balanced water before using. Another drawback is that rockwool is non-degradable and not sustainable. The unused fibers of rockwool are almost unable to be disposed of. Also, the dust giving off from the medium can cause irritation. This is not good for the lungs and eyes, so it's a good practice to wash it into the water once when using. From what I heard lately many hydroponic hobbyists stop using it primarily because of their sense of environmental care and responsibility. Many growers don't want to use products that bring pollutions from their manufacturing process, and cannot be disposed of, which is the case of rockwool. But overall, rockwool is a highly effective growing medium. The dust is not good for the health. Disturb the pH of the nutrient solution. Can be used in drip systems, ebb and flow systems, deep water cultures systems, nutrient-film technique systems. Almost any system except aquaponics. Expanded clay pellets or hydroton (also referred as LECA (lightweight expanded clay aggregate) are small round balls, about the size of marbles. They are created by heating and expanding clays to form thousands of small bubble-shaped balls. Overall, this is a great and effective growing medium for hydroponic use. 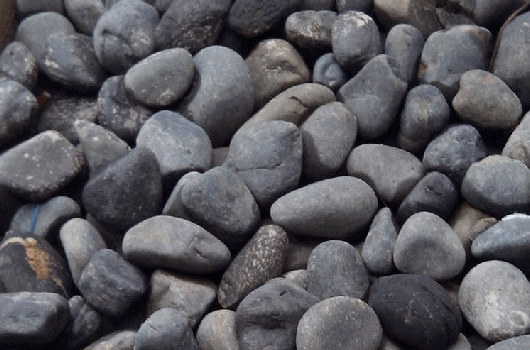 As a form of rocks, but clay pellets are lightweight because of its porous nature. And yet they are still heavy enough to give strong support for the plants and are quite excellent in wicking up the nutrients to plants' roots. 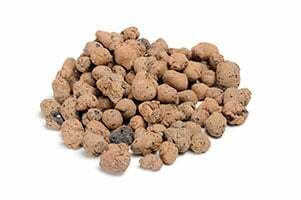 The round and porous form makes clay pellets an incredibly balanced water to oxygen medium. This neutral pH medium is reusable. People can clean, sterilize and reuse it. This not to mention the downsides. Clay pellets are not a good water holding material because of the spaces between each pellet. They will drain and dry out fast. So be sure to get the material watered enough. Also, the pellets are heavier and more expensive than other media. Effective water drainage, and air retention. Can be used in drip systems, ebb and flow systems, aquaponic systems. Oasis cubes are made from floral foam which is designed like a sheet form. Each of the medium's individual cell (which looks alike to cubes) contains the right amount of nutrients as well as air and water for plants' growing. Growers use oasis cubes primarily as a starting environment for seedlings or plants' cuttings, not as a full growing medium. The medium is pH neutral. Its cells absorb water and air fairly well, which is very necessary for seeds or cuttings. What's more, the roots can easily grow and expand within the medium's open cell structure. Used for germination and seedling growing phases. Starter plugs are another effective product to start plant propagation or seed germination. Hydroponic growers who care about the environment can find this product a good material for consideration. They can choose starter plugs that are composted of organic materials. To make it useful for the starting phase of planting, starter plugs are often created from materials that keep moisture well, are not easily waterlogged, and at the same time allows the roots to expand and drive through the loose bottom. Suitable for seed starting, or cloning. The normal byproduct of rice crops and usually thrown away material can make good use for soilless growing. 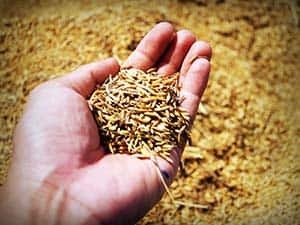 Keep in mind not to use fresh rice hulls because they are not sterilized, and there are risks of microorganisms, decaying bugs, and weed seeds. Better to use parboiled rice hulls (PRH), which has been stemmed, rice-free, dried and clean. Rice hulls are able to drain water well. One disadvantage is that the material is decomposed after some time, so should be replaced very often. Pumice is a mined mineral just like perlite and is formed by a super-heated and highly pressured volcano. It can be white, pale gray or pale yellow, depending on the area's minerals. But usually, pumice is darker than perlite. This is a lightweight stone, which is porous, slow to break down and holds the air well because of spaces between each particle. This makes the medium tend to float on water, but not to the extent of perlite. 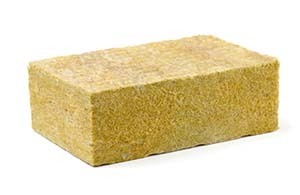 Pumice has good water retention, but not as good as vermiculite, which is also a mined mineral. Growstones are made from recycled glass from landfills or glass collecting & processing places. Some people may worry that they can get cut from this medium because they are made from glass. Don't get worried about that because these recycled glass has been hardly crushed, melt, sometimes mixed in some calcium carbonates. This medium is very lightweight, highly porous and above all, it has great air aeration, and average moisture retention to the root system. You should start by washing and rinse the medium thoroughly to remove small particles, and dust. The medium is ideal for using alone or for mixing into peat, coco coir and other growing media. Cling to some roots, which can cause root damage for some plant types. A little bit of dust. More expensive than other media. Sawdust is a by-product of sawmills and retail hardware stores. It is quite inexpensive, and even you can find or ask for free. This material is lightweight, yet retains water well so be sure not to water it. 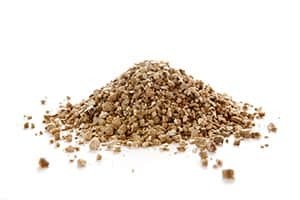 Sawdust is biodegradable but will decompose over time. This medium is not pH neutral. So extra care of pH monitoring for your system needs taking. One word of caution is that you should know what kinds of wood your sawdust is made - is it chemically treated and contaminated? This is absolutely unhealthy if you are growing edible food on this medium. So double check about that, and if it has chemical treatment, make sure it is sterilized before use. Many Hydroponic growers don't like sawdust because it compacts quickly, pH-altering, and can be contaminated. However, sawdust has some limited successes in Africa for soilless planting, and for Hydroponic tomato growing in Australia. Rot over time, and can cause bacteria. 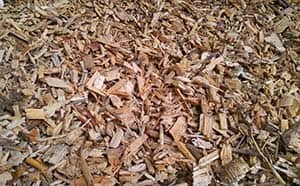 Just like sawdust, wood chips or fibers are from woods. So they are totally organic, a great option for growers who have an eco-friendly mindset. And again make sure that wood chips are not used from contaminated wood, or should be sterilized before using. Wood chips hold water well. But it is not so compacted and waterlogged as sawdust. Able to retain water well. Soil Gardening lovers would find this material quite familiar as an excellent moisture nutrient retaining, and organic soil-softening durable material. But Peat moss also makes good use in Hydroponics whether alone, or in conjunction with other material. 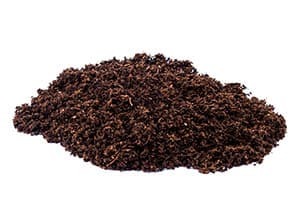 Peat moss is a dead fibrous material that develops in a wet, cold, acidic, and lack-of-air environment called peat bogs. In that environment, sphagnum moss and other living things decompose into a dense dark brown compact. This is the peat moss. This process takes place so long, even a few thousands of years. So peat moss is not considered a renewable medium, and not friendly to the environment. This is a good medium for soil and hydroponic planting because of its ability to retain water and hold nutrients well. Peat moss can get wet then rehydrate quick and doesn't compact or break down easily. These keep the material's life cycle of several years of use. What's more, the medium doesn't contain adverse weed seeds or microorganisms, unlike other organic compost. People can blend peat moss with perlite, vermiculite, or styrofoam particles to add aeration and adjust the PH of this medium. Good water, and nutrient holding. Soil and hydroponic growers would not find sand any new as it is one of the most plentiful materials on earth and are in great use for construction, road building, glass industry, etc. as well as for growing. That's the reason why sand is respectively cheap or available for free at places like the beach. 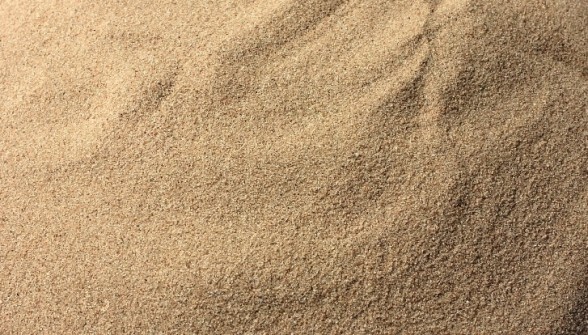 Sand is composed of super small finely divided rocks. Their particle size is really tiny, so water doesn't dry out fast. People can use sand as a great starting medium and then try with other media as this media is quite heavy, and has poor aeration qualities, and must usually be cleaned. You can mix it with vermiculite, perlite, or coconut to increase the medium's aeration. The tiny size which can block some system types. This growing medium has been in use quite early with great success. The popular one is the gravel-based ebb & flow system. As fragmented media from hard-wearing rocks like sandstone, limestone, or basalt., spaces between each particle are quite large. This helps give a plentiful supply of air to the roots. But at the same time, that means the medium doesn't hold water well, which can cause plants' roots to dry out quickly. Because gravel is rocks, its weight makes a gravel based system, especially large one hard to carry. But that comes with an advantage that is durable and can be reusable. As long as you wash and sterilize it, you can start using for first time growing or reusing. Just like sand, this is a good cheap starter medium for soilless growing, then people can move on to other growing materials. Poor water retention, not suitable for heavy plant roots. Strangely as it sounds, yet hydroponic plants can live without any growing media. In some hydroponic systems like aeroponics, plant roots are hung freely in the air and are periodically moisturized with water and nutrient through sprays. So it means that plants can grow in the air with no issues as long as you provide it with enough air, water, and nutrient. Plants grown in the air have a big advantage that their root can get access to plenty of oxygens (which totally comes at no cost). On the other hand, this makes plants totally depend their life on the system. Suppose there is a power cut, a pump or timer failure, you can guess that the roots will dry out quickly, and the death of plants can be expected. Can be used in nutrient film technique systems, deep water culture systems.